Old Navy $1 Flip Flop Sale - Tomorrow June 29th Only! Get ready! 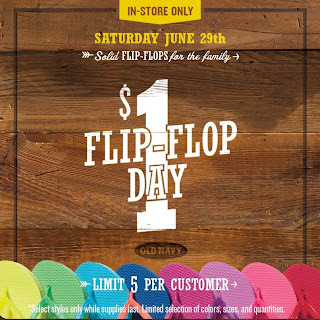 The $1 Flip Flop Sale at Old Navy is tomorrow, Saturday June 29th!